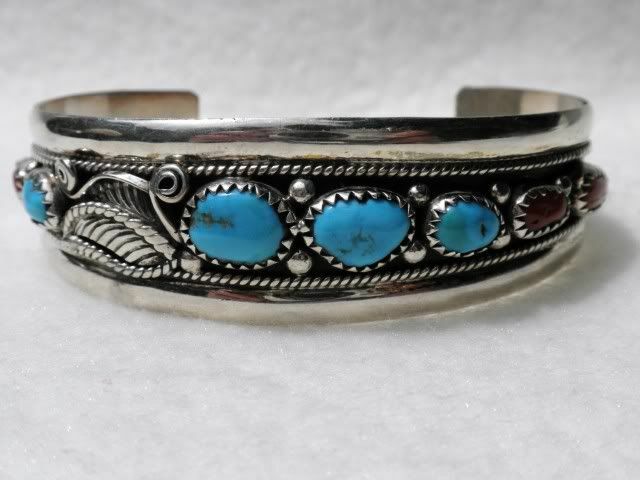 Navajo sterling silver turquoise coral bracelet. 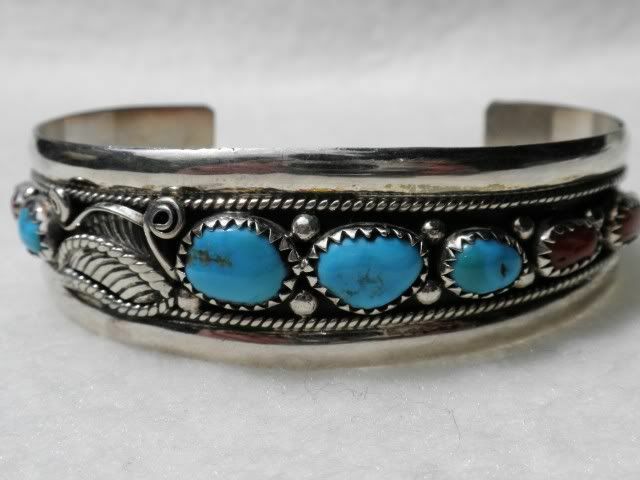 The bracelet is artist signed B and marked sterling. 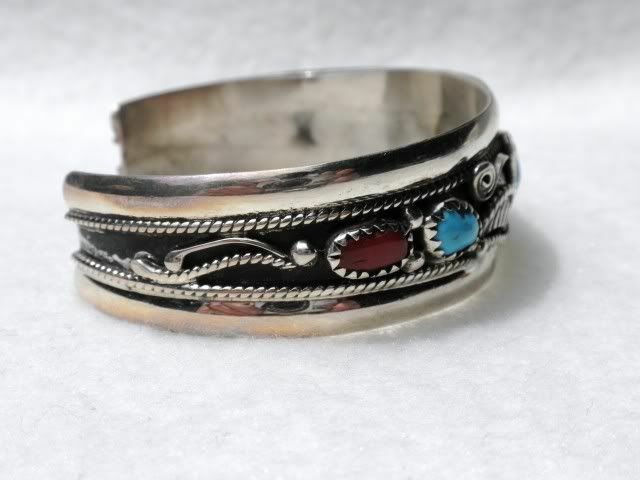 The bracelet measures 2 1/2" wide by 2" deep and 3/4" long. 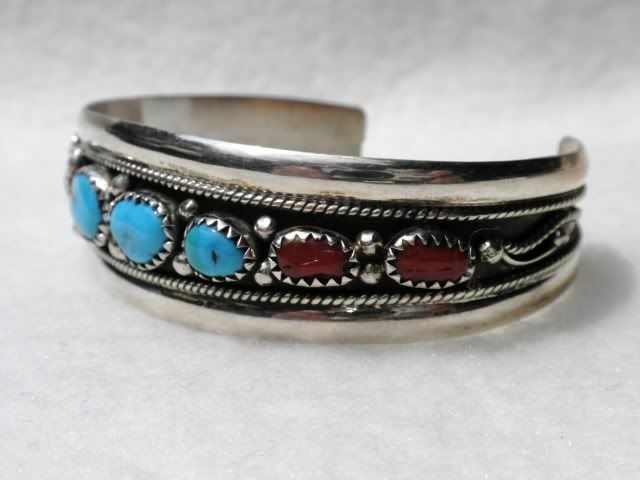 The bracelet is bezel set with three coral and four turquoise stones. The turquoise are all in excellent condition while there is a little wear to the coral sets. 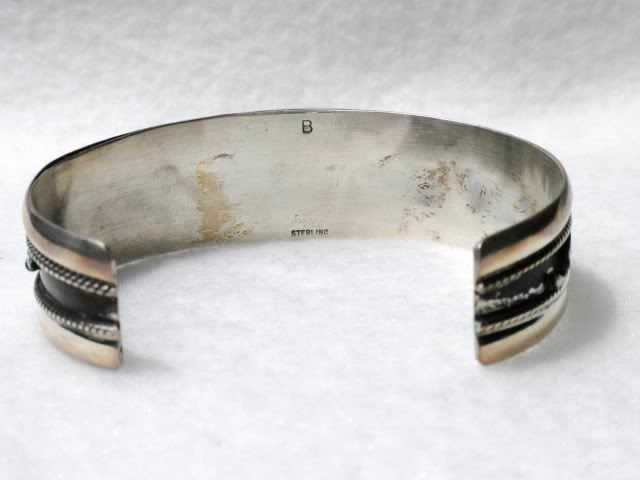 The bracelet dates within the last 40 years and weighs just under 1 oz.